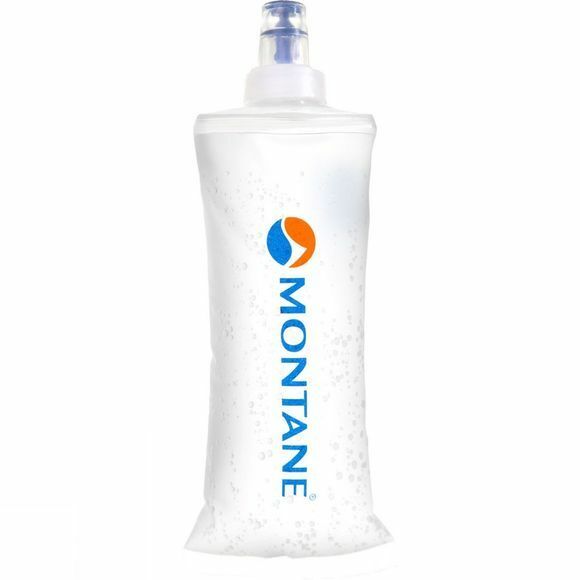 The Montane SoftFlask by Hydrapak is a compactable flask for quick, easy hydration when on the move. The flask compresses for easy storage and prevents water from sloshing. The top opening allows for quick and easy filling or cleaning, while the high performance soft silicone bite valve provides a high flow rate.